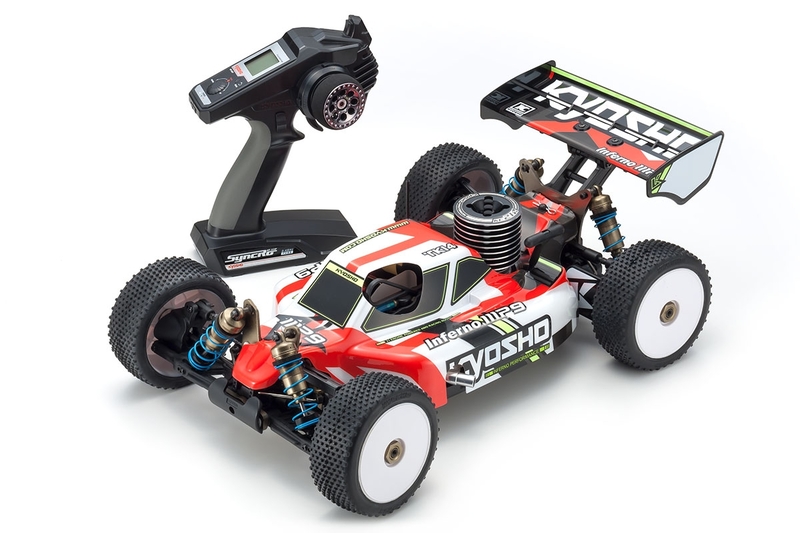 Based on the world-class MP9 TKI4 , this Readyset can be up and running almost straight out of the box. 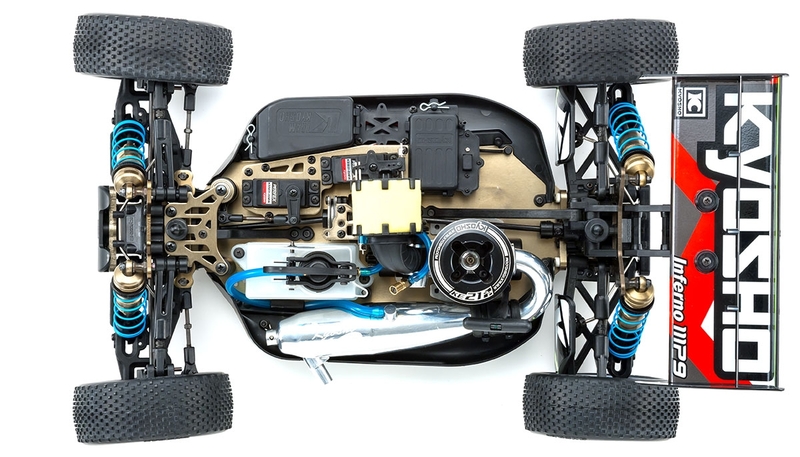 Factory assembled chassis with Engine and R/C radio equipment. 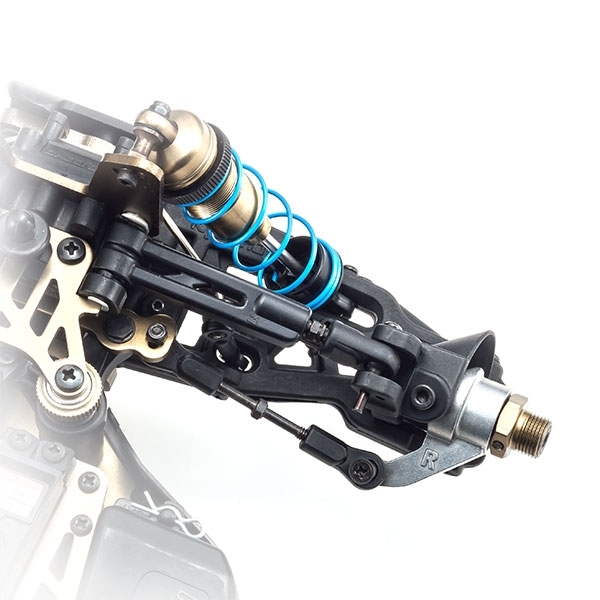 Wide variety of optional parts provides extensive scope for performance tuning. 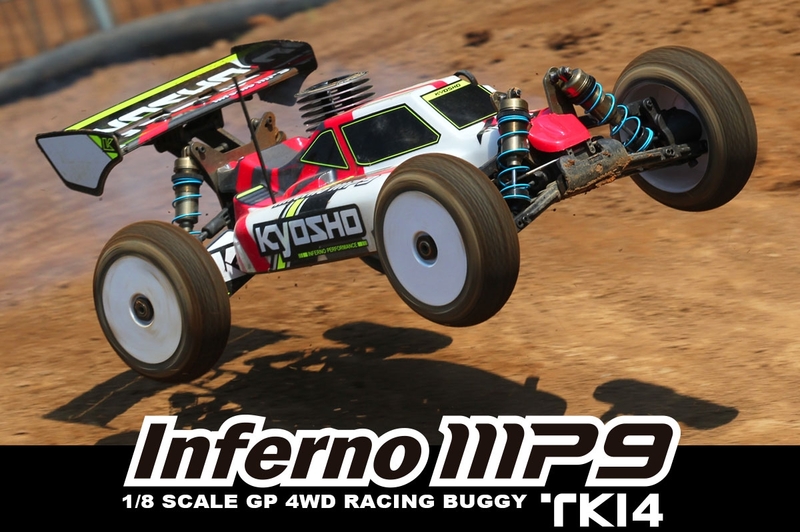 The INFERNO series competes at the highest level in major engine racing buggy races around the world. 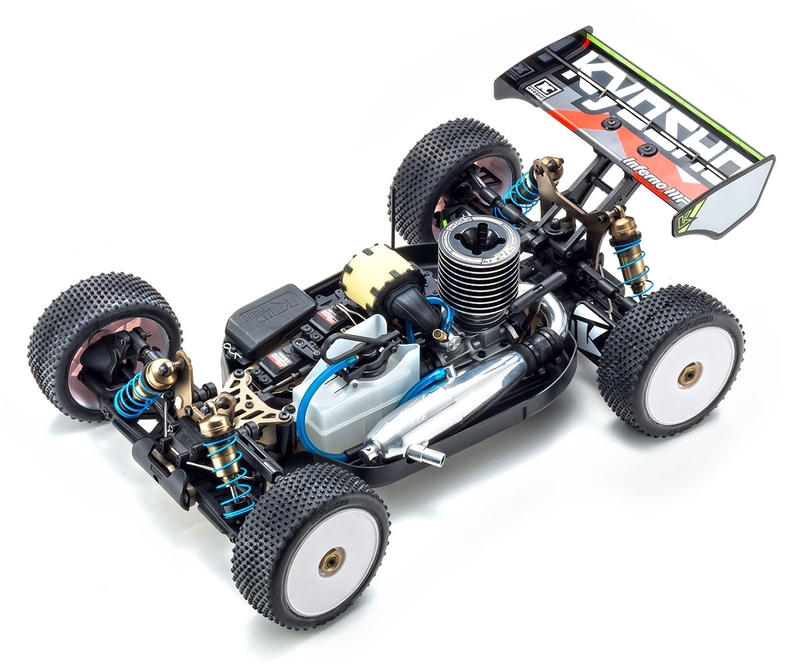 Continually evolving to be at the forefront of racing trends, the MP9 TKI4 is the most advanced competition model in the series to date and forms the base for this Readyset version. 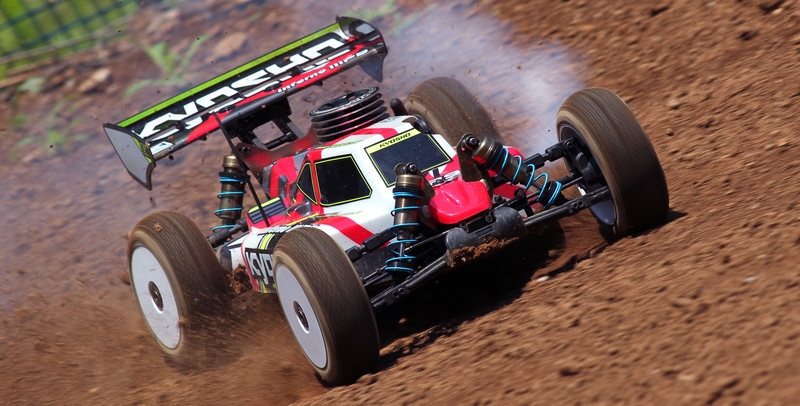 Shaft-Driven Full-time 4WD Chassis Front, Center and Rear diff cases contain 2-bevel differential gears with oil. 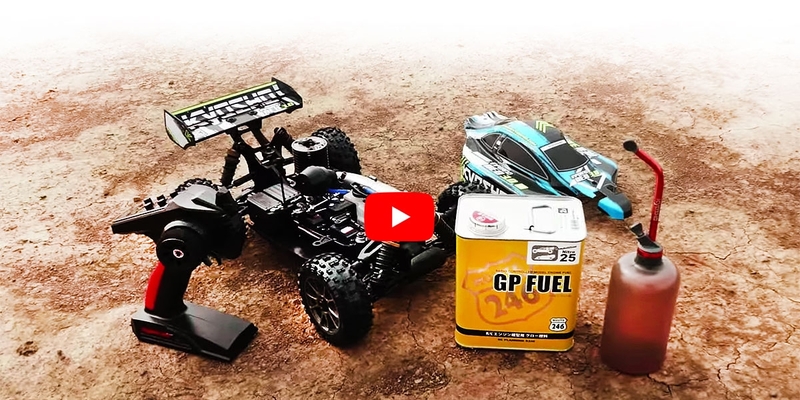 Forward positioning of the receiver batteries with the incorporation of the TKI3 layout realizes superior controllability. Race-proven design know-how delivers the dynamic combination of competition-level performance and reliability. 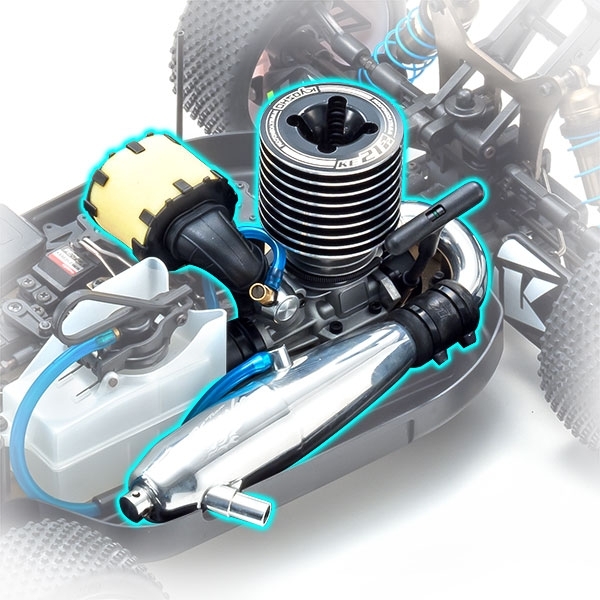 KE21SP engine features an optimal balance of power, torque, and starting and idling stability. Includes a break-in ring that makes it easy for beginners to break the engine in properly. Machined aluminum big bore oil shocks deliver excellent shock absorption and running stability under various driving situations. 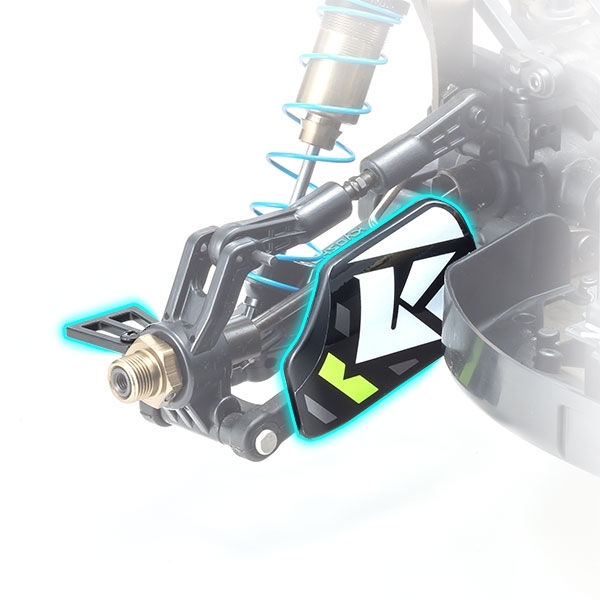 Rib reinforcement of the TKI4 long type front sus arms adds extra strength and delivers improved steering response, surface tracing and cornering performance. 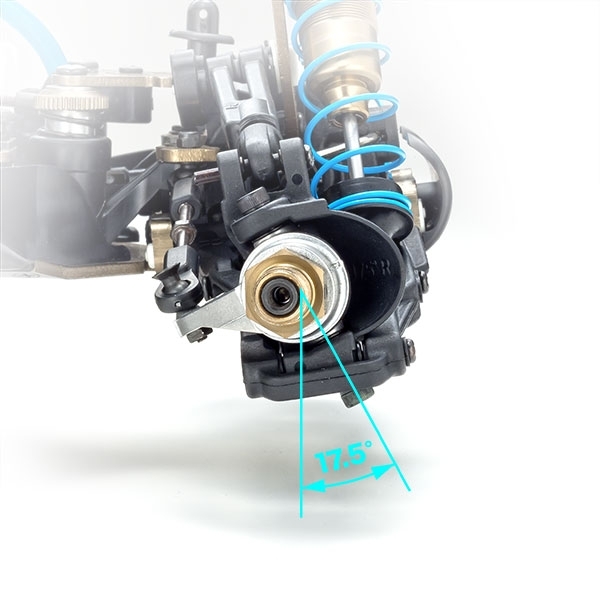 Large 17.5°caster angle front hub carriers improve running stability over rough surfaces and through sticky corners. 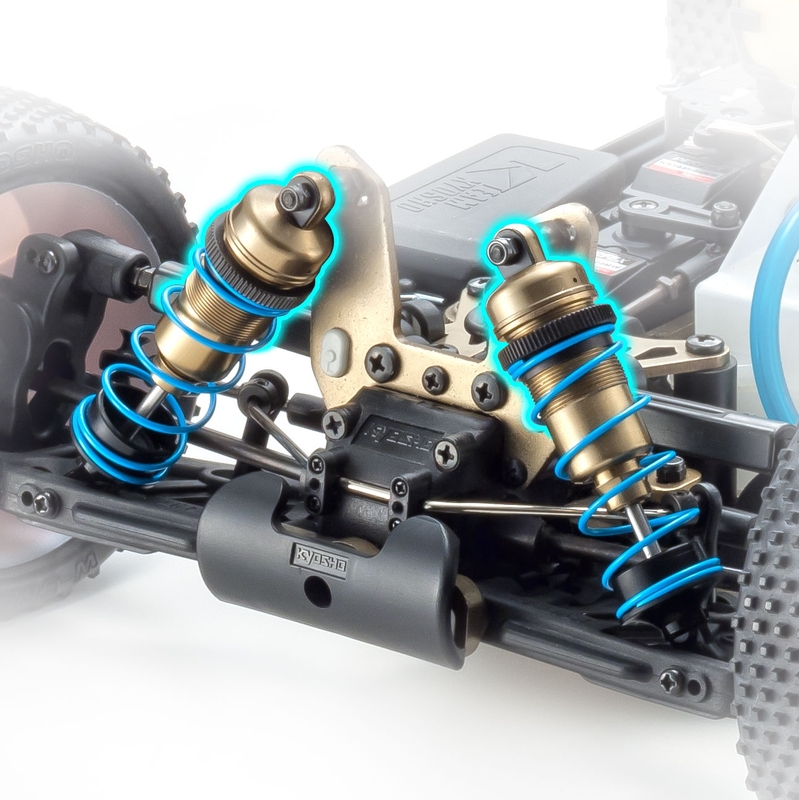 Installed stabilizers on front and rear control chassis roll when cornering and contribute to improved steering response. 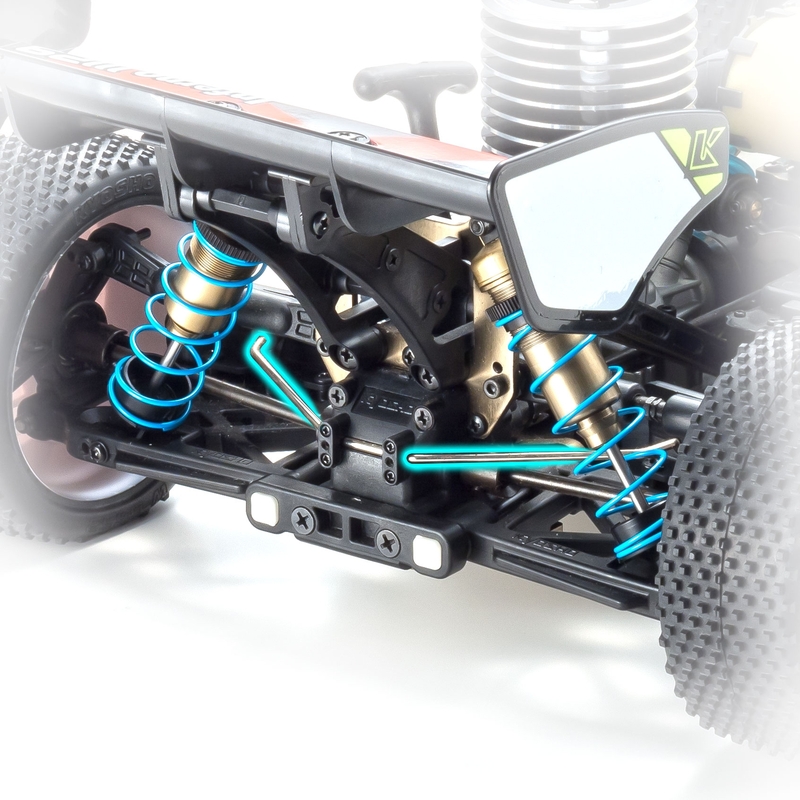 Dust guards not only prevent mud sticking on the rear suspension arms but also stop grass from catching in the drive shaft and protect the shock shafts. 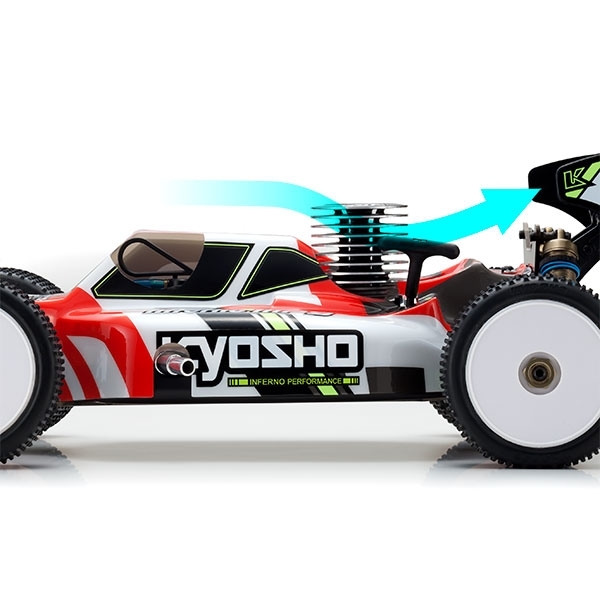 Includes forward cabin type body design that generates high down force for superior traction and turning. 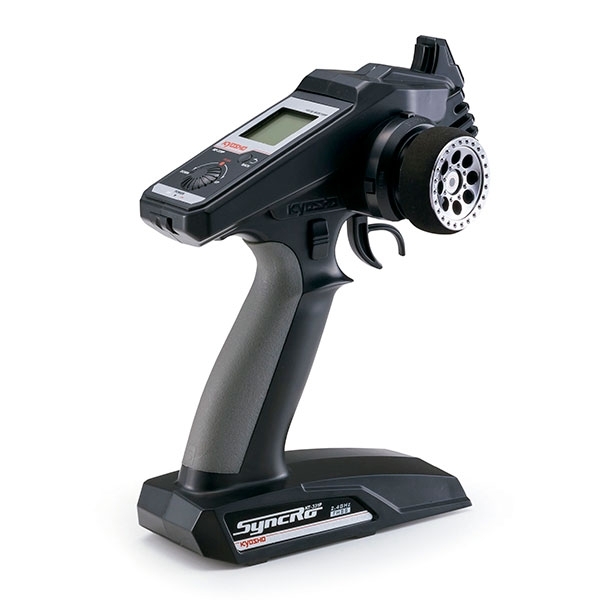 Adjust settings easily with jog dials while viewing the LCD screen on the included 2.4GHz Syncro KT-331P transmitter.